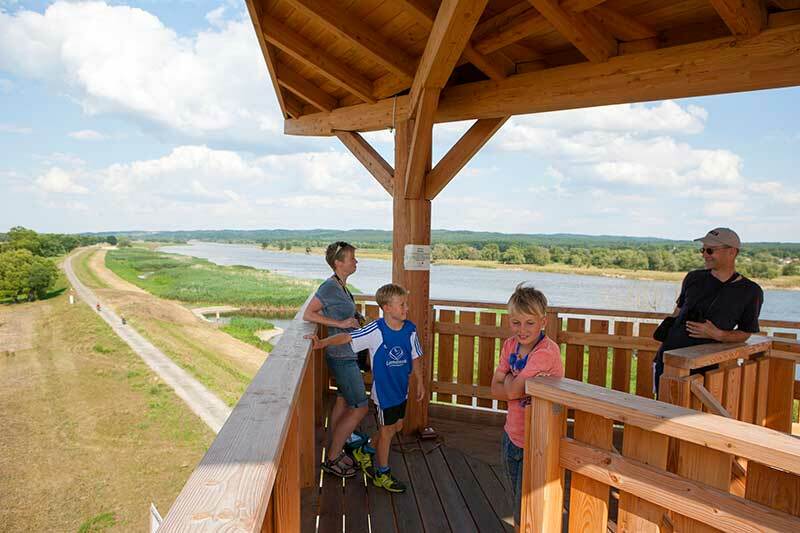 The observation tower at the Stützkower Eiswachhaus (ice guardhouse) on the Oder dyke allows undisturbed observation and contemplation of the flora and fauna and offers an amazing panoramic view of the Oder Valley. 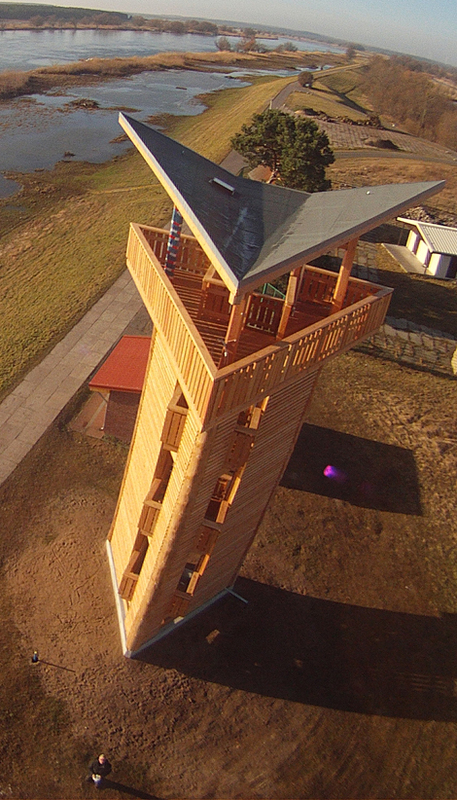 The observation tower at the Stützkower Eiswachhaus is located right next to the Oder dyke and was opened in February 2014. 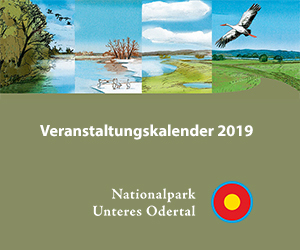 With its extraordinary architecture and slender shape, it is one of the most apparent landmarks in the Lower Oder Valley and offers visitors to the National Park a magnificent view over the polder landscape south of Schwedt and the Oder hillsides on the Polish side of the river. Visitors can observe the animals undisturbed from an eleven-metre high platform; the tower is crowned with a curved roof, which was inspired by the wigs of a crane. 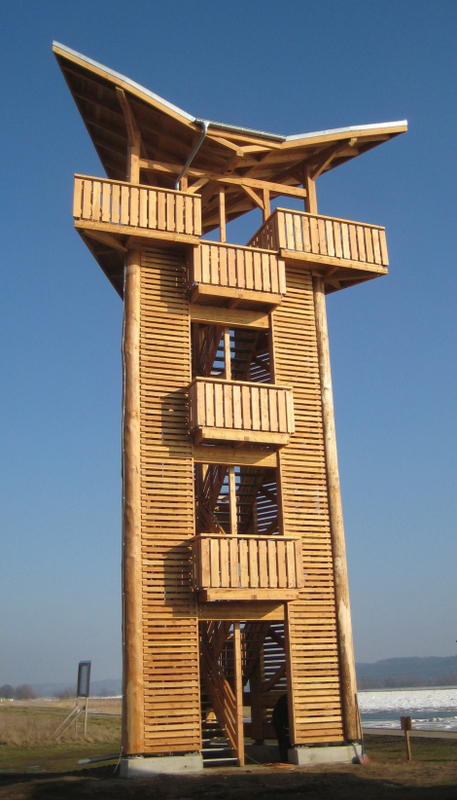 The Douglas fir and larch trunks, used to construct the tower, come from the biosphere reserve in Schorfheide-Chorin. They were taken from the forests around Chorin. The polders are valuable living and retreat areas for various kinds of animals. 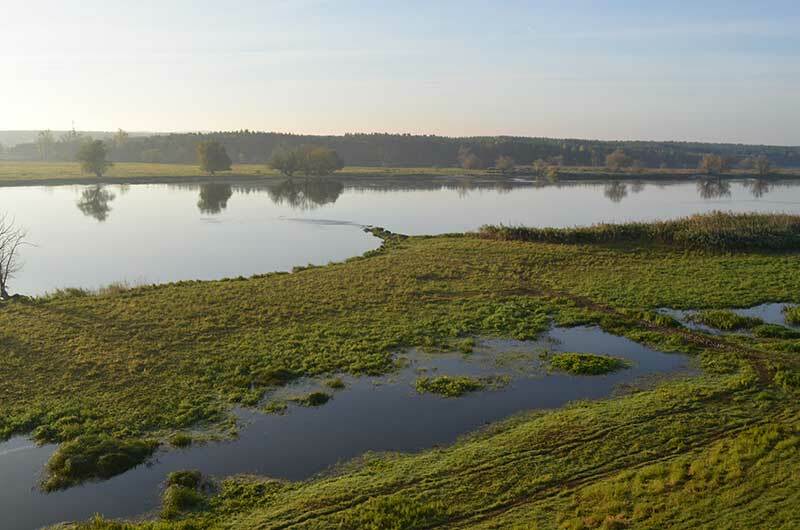 The flood polders are particularly important for the bird world. Numerous species of migratory birds use them in spring and autumn as resting places. Here, especially in winter, visitors can watch the Whooper Swans. But also rare and endangered birds, such as the Corn Crake or Great Bittern, are at home here in the summer months. Visitors to the National Park will hardly ever see these very shy bird species. Their characteristic calls, however, can be heard from far away. Because of its call, the great bittern has also received the nickname of “Moor Ox”. The observation tower at the Stützkower Eiswachhaus cannot be reached by car. Pedestrians and cyclists can get there using the National Park’s dyke and path system. 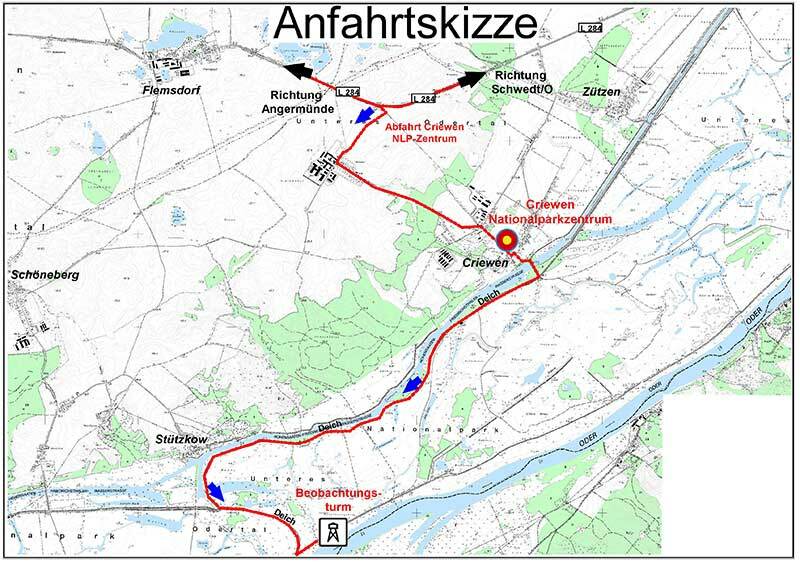 You can choose to take the route over the Oder dyke southward from the Schwedt Border Bridge or start in Criewen on the Oder-Neisse cycling path heading south. From there you reach the cross-dyke, which borders Polder A to the south. This leads directly to the Stützkower Eiswachhaus and the observation tower. However, the quickest way to reach the observation tower is via Stützkow and its canal bridge. The construction of the tower cost 170,000 EUR and was financed, like its twin in Mescherin, with funding from the German-Polish projektu INTERREG.